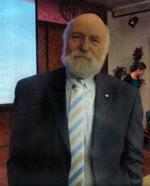 CEO and founderFamily Drug Support was formed in 1997 after its founder Tony Trimingham lost his son to a heroin overdose. Bereft, Tony felt frustrated by the general apathy and ignorance of his own experience. This was also the plight of many other families. Realising this was but the tip of the iceberg, a public meeting was called where hundreds of people attended. FDS was formed as a result. FDS is a caring, non-religious and non judgemental organisation. FDS is primarily made up of volunteers who have experienced first-hand the trauma and chaos of having family members with drug dependency. Most have travelled the same road. Our energies are given in primarily supporting families struggling as a result of drug use. We aim to assist in any way possible to empower families to cope with the realisation of their situation and to survive it intact. 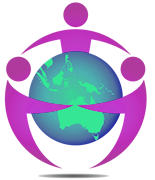 To this end we offer a seven day, 24 hour telephone line Australia-wide, manned by volunteers offering help to diffuse crisis, proffering strategies for coping and giving any information required. We believe families are important. They are the ones who understand their family member more so than anyone else. If left to work through issues in isolation, families can become exhausted and give up. However, when supported they can become a vital force for positive change. FDS is committed to working with professional organisations and forming constructive partnerships. Armed with collective wisdom, FDS has adopted a view of harm minimisation. We aim therefore to reduce the adverse health, social and economic consequences of drug use for the community and for the individual. We do not condone or encourage illegal behaviour of any kind. FDS does, however, have a commitment to the reform of some drug laws. We believe the use of all drug substances should be decriminalised. We would like crimes committed as a result of drug use to be carefully assessed and where possible, perpetrators diverted to treatment and not sentenced to jail. FDS has no sympathy or tolerance for major crime i.e. violence/drug importation. In the interpersonal, family, social and political factors needing to be considered when planning drug prevention and treatment strategies. In real changes occurring when individuals, families and the community participate in the process. In education, health promotion and treatment activities linked to a continuum of service provisions providing a coherent and interrelated range of services. In encouraging education and treatment, and promoting improved outcomes for users, their families and the community. In contributing to the development and skills of volunteers. In working in partnerships with governments and other agencies to effectively achieve these objectives.